The first project of a light infantry tank, which later transformed into the Valentine, was presented to the War Ministry on February 10th, 1938. The tank that Leslie Little developed was rejected by the British at least once. One of the reasons for the rejection was the two-man turret, as the British wanted to have it house three crewmen. 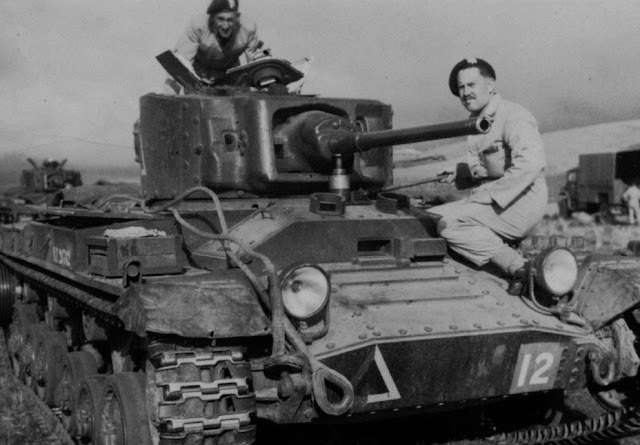 Leslie Little won that time, and in April of 1939 the Infantry Tank Mk.III was approved with a two-man turret. However, the War Ministry returned to the idea of increasing the crew size of the turret, which led to the Valentine III and Valentine V with three-man turrets. The main reason why Little, the chief designer of the Vickers-Armstrongs company, insisted on a two-man turret was the limit in mass. Little already had a bad experience in creating the Cruiser Tank A10. The desire to create a "heavy cruiser" led to a 12.5 ton tank ballooning to almost 14, and compared to the A9 its top speed dropped from 40 to 26 kph. The load on the engine and suspension also increased. This came back to haunt the British: the A10, also known as the Cruiser Tank Mk.II, broke down most out of all British tanks to be ever used in combat. In France, out of 14 A10s lost by the 1st Armoured Division, only 2 were knocked out. The same happened in Greece. A Cruiser Tank Mk.II abandoned by the side of the road was a favourite photography subject for the Germans. The Infantry Tank Mk.III was designed on the A10 chassis. Naturally, the suspension was altered, but the overall idea was the same as on the A9 and A10. Any requests by the War Ministry like increasing the armour to 75 mm or adding a three-man turret would result in the tank's mass growing. Little fiercely defended the initial form of his creation, managing to get it built in its intended fashion. Diagram of a three man turret for the Valentine. Future events showed that Little was right. The only major problem the Valentine had was the AEC A189 engine, which the British military insisted on themselves. Vickers' chief designer insisted on using a diesel engine from the very start. The track links, an evolution of the A9/A10, also behaved poorly. Engine problems stopped after the tank received the A190 diesel engine. Issues with tracks were also resolved around this time. After completion of the first 308 Infantry Tank Mk.III (Or Valentine I), an improved version known as the Valentine II entered production. 1493 of them were built, making this version the most numerous British tank of its time. Its combined characteristics made it a solid competitor for the title of best British tank. The Crusader surpassed it only in speed, and significantly fell behind in armour and, most importantly, reliability. However, the British never forgot their desire to have a third man in the turret. It's not hard to understand them: the commander has to be able to do his work without also having to perform the function of a loader. 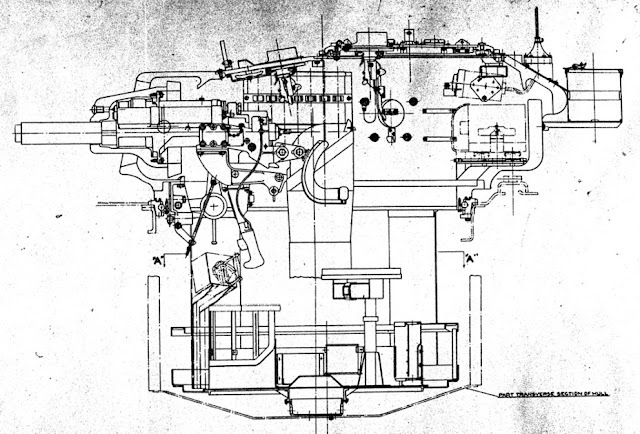 Cutaway of the Valentine III/V turret. It managed to fit three people. 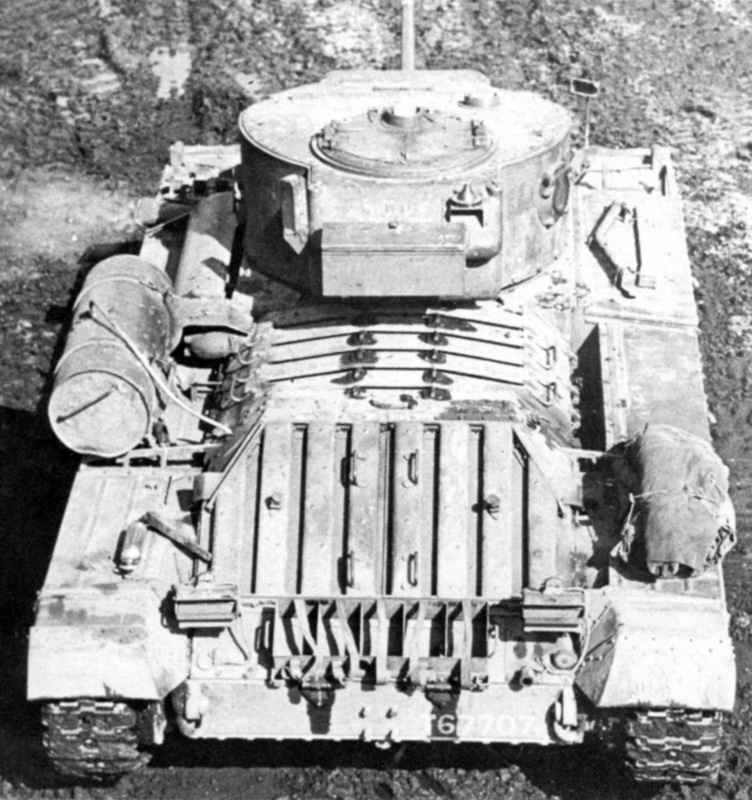 The Infantry Tank Mk.III first received a three man turret at the design stage, in April of 1939. That time the British military rejected this proposal, but two years later they came back to the idea of a three man turret. By this point, the situation changed. The tank was in production, and nobody would dare radically change the design. Each tank was worth its weight in gold, and supplies of American vehicles had not yet started. In these conditions, Little managed to trade the three man turret for the preservation of the existing turret ring and thinning out of the armour in some places. The new turret front with the gun mount brought forward. The stock turret was taken as the basis. The only way to insert a third crewman into it was to stretch it lengthwise. The turret received a bustle, which the radio station was moved into from its special perch. This left some room for the commander in the back of the turret. 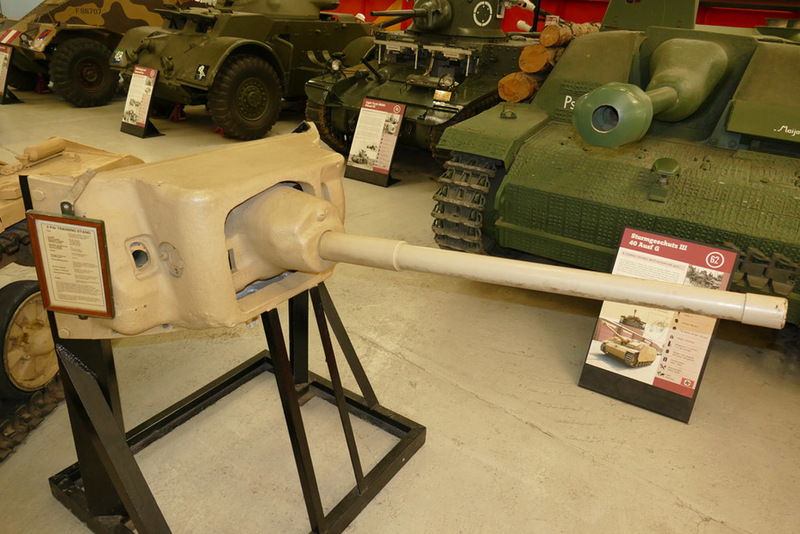 Issues with the gun mount, which took up a large portion of the space inside, were solved by extending the turret face forward by 140 mm. This allowed the gun mount to move forward by the same distance. However, the armour had to be altered. This allowed the commander to fit into the turret with the existing turret ring. In addition to the aforementioned transformations, the design of the pistol ports changed. Their shape was unified, and the design improved. The turret roof also changed. The large center hatch was inconvenient to use with the new layout, and it was replaced by a commander's cupola with a three-piece hatch. The front part of the hatch mounted a Mk.IV observation periscope, giving the commander good visibility. A rare photo of a Valentine III. Most archive photos show Valentine V tanks. It's hard to call the commander's working conditions in the three-man Valentine turret comfortable. He had barely any room to work with, and the recoiling gun breech was placed right in front of his face. The Matilda's fighting compartment was also hardly a resort, but at least it was taller. 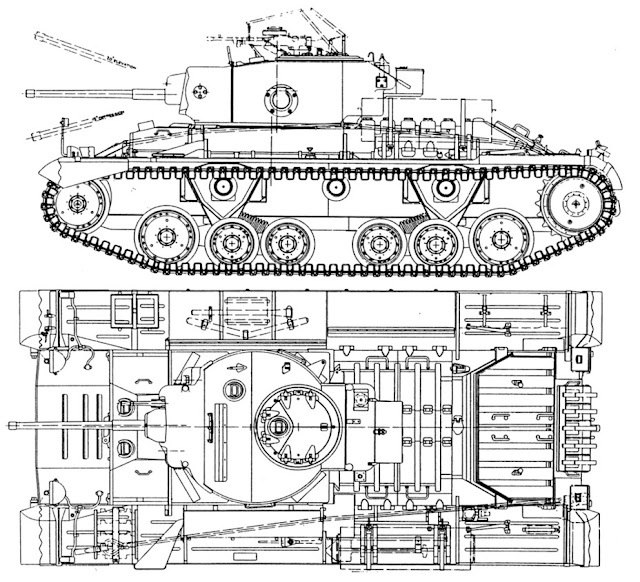 A diagram of the Valentine V. Late production Valentine III tanks were indistinguishable from it. The new tank received the index Valentine III. The increased size and weight of the turret had to be balanced out by reducing the thickness of the sides to 50 mm. The mass of the tank grew, but not a lot, only to 16 tons. Depending on the configuration it could increase up to 18 tons, but the same was true for the 2-man turret tank as well. Contract T2455 was signed with Birmingham Railway Carriage and Wagon Company (BRC&W) on June 26th, 1941, for 500 Valentine III tanks. Each tank cost 7500 pounds Sterling, plus the engine and several other components cost 4490 pounds. Another contract, TM6117, was signed with BRC&W on October 7th, 1941, for 435 tanks. Delivery of the last vehicles described by the first contract was due on May 26th, 1942, but the real delivery was rather different. The tanks started being issued no sooner than early 1942, and production plans had to change as a result. Instead of 500 tanks, only 386 were built to satisfy T2455, 54 more were built as bridgelayers, and 60 as Bishop SPGs. The WD numbers, including bridgelayers and Bishops, ranged from T.59684 to T.60183. Changes were made to TM6117 as well: it was reduced to 305 vehicles, of which 82 were bridgelayers. These tanks received WD numbers T.121823–T.122127. 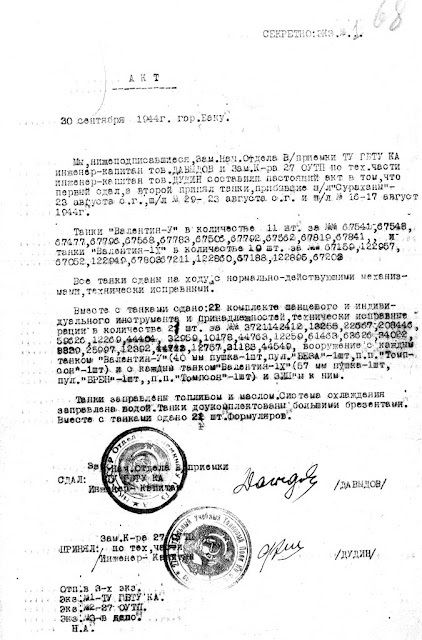 The third contract, TM11534, issued on February 7th, 1942, was cancelled. BRC&W would have built 440 tanks with WD numbers T122258-T123157. In total, 699 Valentine III tanks were built. BRC&W was the only factory that produced Valentine III tanks. T.66591, the first Valentine V built by Elswick Works. The issue of equipping British tanks with engines came up by the summer of 1941. The solution was the Valentine IV with a two-man turret, equipped with the American GM 6004 engine. An analogous modification for the three-man turret Valentine was called Valentine V. Externally, the Valentine III and Valentine V were identical. Only the WD number gives a hint as to what kind of tank it really is. The same tank from the right showing its Parrish-Lakeman Mounting. The first contract for Valentine V tanks was signed with Vickers-Armstrongs on May 7th, 1941. Contract T2455 ordered 755 tanks with WD numbers T.66466–T.67220. Each tank cost 5520 pounds Sterling, with 4490 more for the engine. The first tanks were scheduled for delivery on March 22nd, 1942, and the deadline was met this time, although the T.66466–T.66590 interval was filled with Valentine IV tanks, not Valentine V. Tanks started receiving three-man turrets at T.66591. The number of Valentine V tanks produced was reduced to 400 units. The remaining 230 were built as Valentine IX. Valentine V WD number T.67707 built by the Metropolitan Cammell Carriage and Wagon Company. 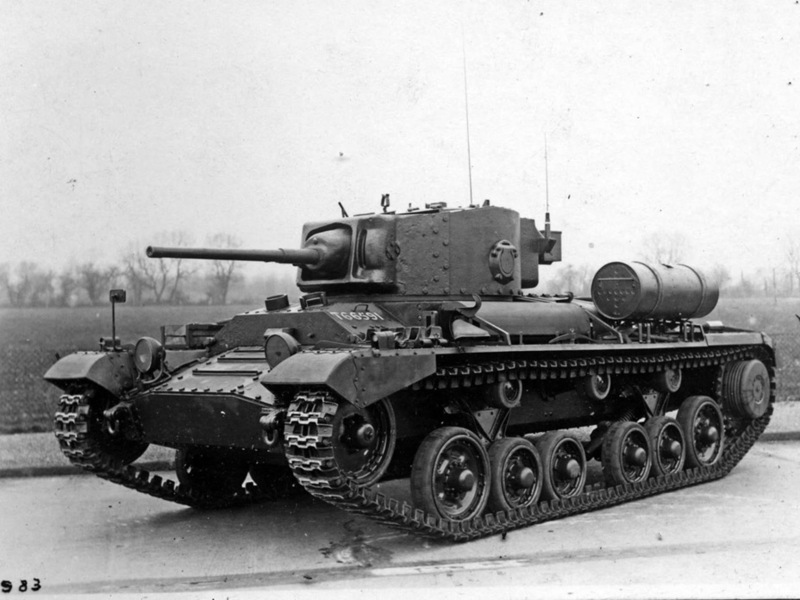 The majority of Valentine tanks with a three-man turret were built by the Metropolitan Cammell Carriage and Wagon Company. Contract T2454 issued on June 26th, 1941, ordered 645 Valentine II tanks here, but soon the number of tanks was reduced to 40 plus 60 bridgelayers. 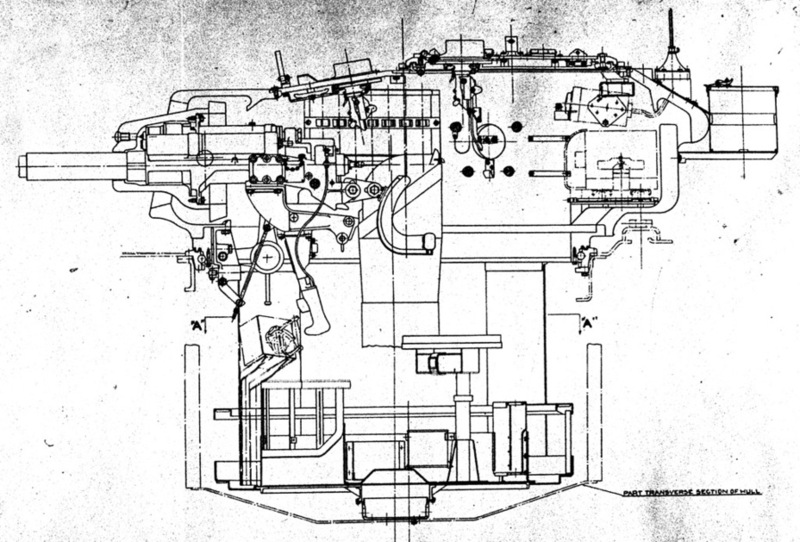 545 tanks would be built as the Valentine IV, but even these plans had to change. Instead, 545 Valentine V tanks with WD numbers T.67321–T.67865 were built. MMCW also built 35 two-man turrets and 25 three-man turrets for instructional purposes. Contract TM6118 for 455 tanks was signed on October 7th. It was the last not only for three-man turret Valentines, but for Valentines with 2-pounder guns as a whole, at least for British manufacturers. This contract was also corrected: 127 Valentine Vs were built, the remaining 328 were Valentine IXs. Vehicles of both types received WD numbers T.82163–T.82617. Valentine V DD with retracted amphibious equipment. 160 tanks of those produved by MCCW received unusual extra equipment. The Hungarian inventor Nicholas Straussler began working on a system that could turn any tank amphibious since 1941. It was known as the Duplex Drive, or DD for short. The recipe for this transformation was simple: a metallic foundation was installed on the tank, and a rubberized fabric screen with a frame was installed on top. Inflating rubber hoses would raise the screen, which would allow the tank to float. Propellers installed in the rear part of the hull allowed it to move in water. The same vehicle with the screen up. The propellers can be seen in the rear. 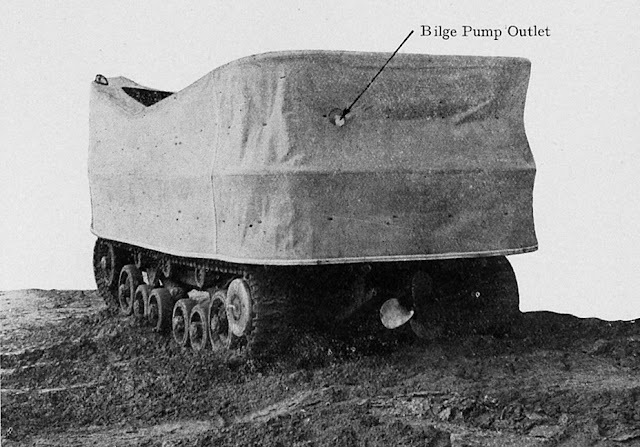 A Tetrarch tank was the first to receive DD equipment, and went through trials successfully. The Valentine tank was deemed the most appropriate for this modification. Unlike the Tetrarch, which had a questionable future, the Valentine was in large scale production. Trials of a Valentine II showed that this equipment works well with this tank. Valentines equipped with GMC engines were deemed the most suitable. A decision to equip two tank divisions with Valentine DD tanks was made in June of 1942. 450 tanks were ordered, 225 of which were expected by January 1st, 1943. The main candidate for conversion was the Valentine IX. Nevertheless, at least 85 Valentine V tanks built to contract T2454 and 75 tanks built to contract TM6118 were also built in this fashion. 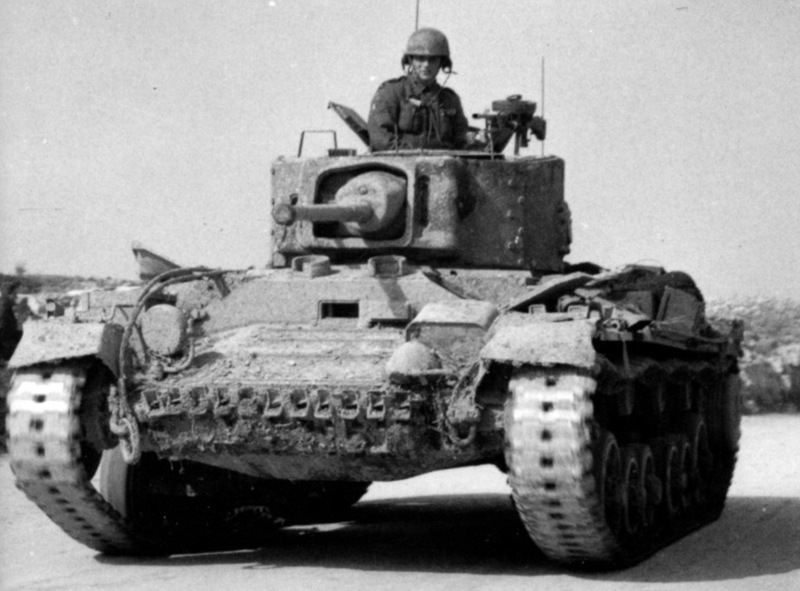 A number of Valentine V DD tanks received 43 mm thick sides to compensate for their extra mass. Such a number of amphibious tanks was easy to explain. 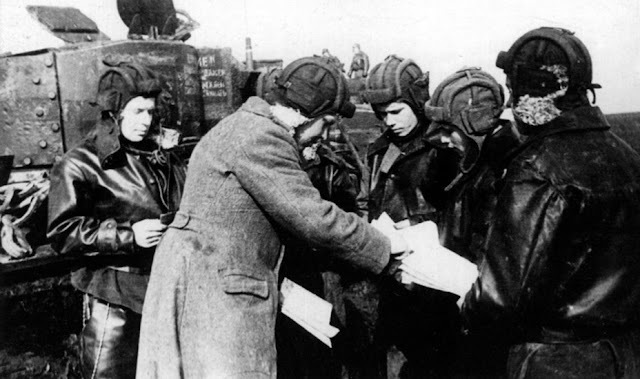 The British were seriously preparing to land in France in the summer of 1943. However, the landing did not happen, and the deadlines for producing these tanks were missed anyway. Mass production of the Valentine V DD only began in March of 1943. 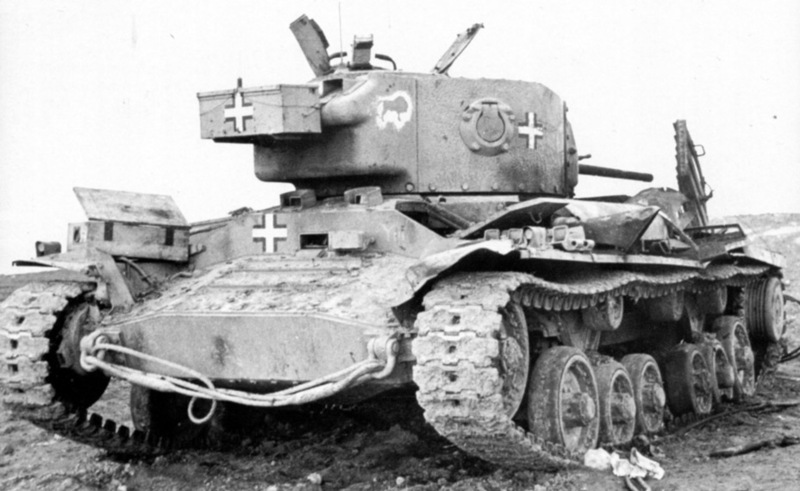 By this point, the British army lots its faith in the Valentine and began to rearm with the Medium Tank M4. It also turned out that the Medium Tank M4 was compatible with the Duplex Drive system, and these tanks went into battle in the summer of 1944. The only thing that the armada of amphibious tanks with 2-pounders was good for was training. The first shipments of the Valentine with a three-man turret began in the spring of 1942. These tanks arrived in North Africa even later, in the summer of 1942. The Valentine III were the first to reach the front lines. 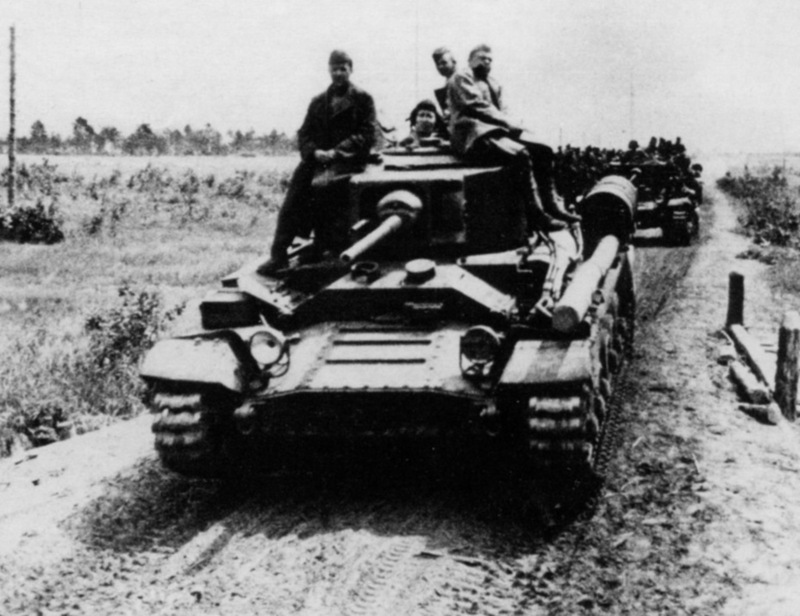 At the time, the majority of the light infantry tank fleet was composed of Valentine II tanks with AEC A190 engines. The GM 6004 engines on the Valentine V were more powerful, but having two similar tanks with different engines in use at the same time was not very convenient. Because of this, even though the first Valentine V tanks were built in March of 1942, their arrival in Africa was delayed. Valentine III in battle, summer of 1942. In the summer of 1942, when the three-man turret Valentines had made their debut, use of tanks of this type was already under question. Even though these tanks were superior to the Matilda in mobility, they were still ill-suited for use in the desert. However, the tanks were more effective than the Valentine II, since the commander could do his job instead of having to work double duty. 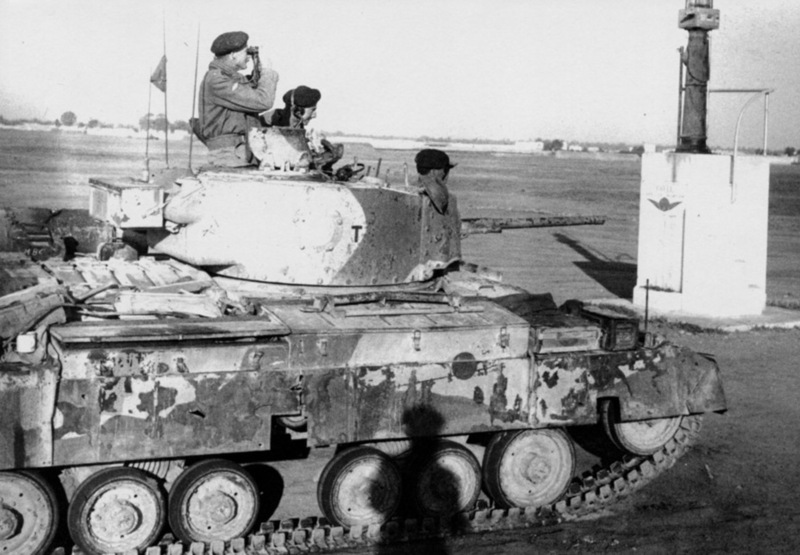 The first Valentine III tanks that arrived in North Africa did not yet have extra fuel tanks, but they were installed soon after. The maximum range increased. However, the tank's 2-pounder gun could only combat German and new Italian tanks at close ranges. At the same time, the Africa Corps received the PzIII Ausf.L with long barreled 50 mm guns that could defeat the Valentine's armour at medium distances. This tank was captured by the Germans and ended up in the 10th Tank Division. It didn't spent a lot of time here. The 23rd Armoured Brigade, where the Valentine III made its debut, lost from 87 to 93 Valentines out of 104 they were issued. Some tanks were captured and used by the Germans. After such a "success", the Valentines were phased out for American Lee, Grant, and Sherman tanks. 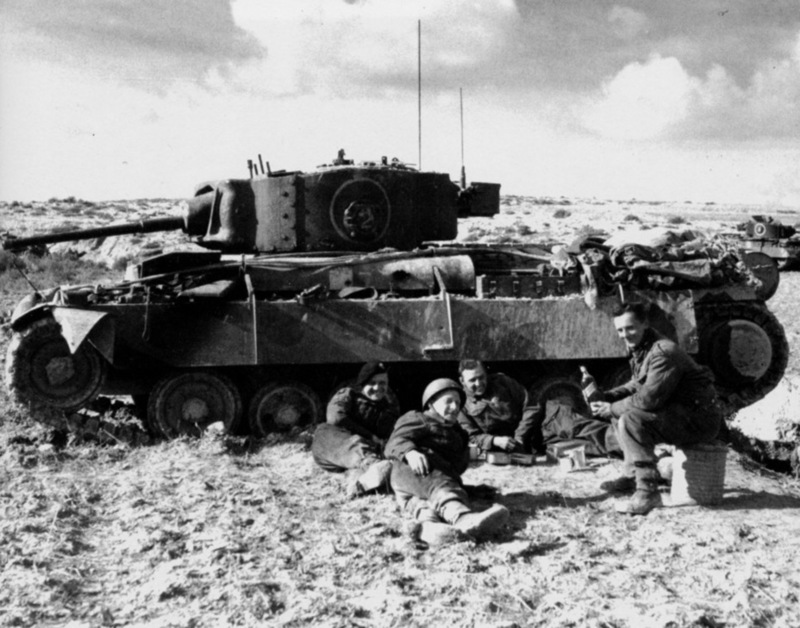 Nevertheless, the 23rd Armoured Brigade still retained 135 Valentines as of September 14th, 1942. One of the first Valentine V tanks in North Africa, late 1942. The tanks already have sand shields, but the colour scheme is still "continental". Valentine V tanks were finally issued towards the end of the year. These tanks also ended up as a part of the Malta garrison. The Valentine V saw its first battle in December of 1942, and continued to be used in combat until May of 1943, when the German-Italian forces in Tunis capitulated. By this point it was clear that using these tanks against the Germans was pointless. In May of 1943 tank units equipped with Valentines were hurriedly rearmed with Sherman tanks. A number of Valentines were given to the 2nd Polish Armoured Brigade, which continued to use them in the Middle East until Shermans arrived. Tunis was the last place where the Valentine V was used against the Germans. In 1943, the Valentine III and Valentine V were issued to the 146th Royal Tank Corps fighting in Burma. Even though the unit already had Grant and Lee tanks, these light infantry tanks ended up serving for a long time. 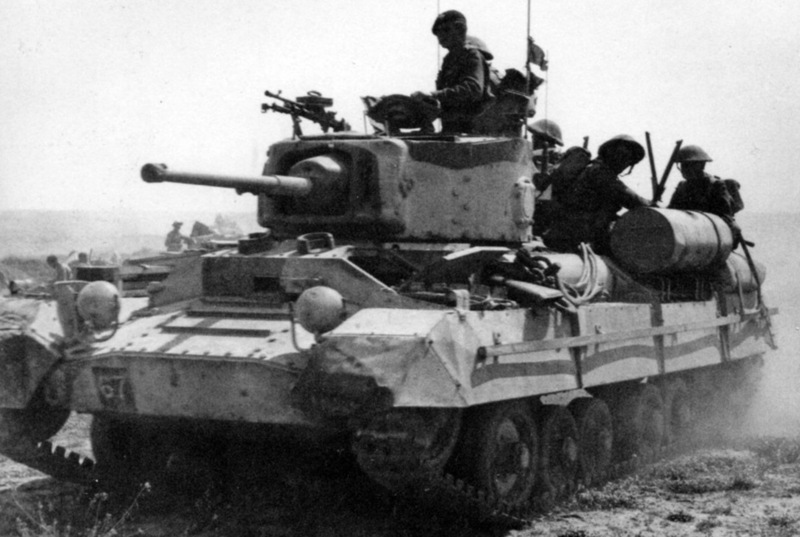 By May of 1944 319 of the tanks were still in service, 72 of them in the 50th Indian Tank Brigade. 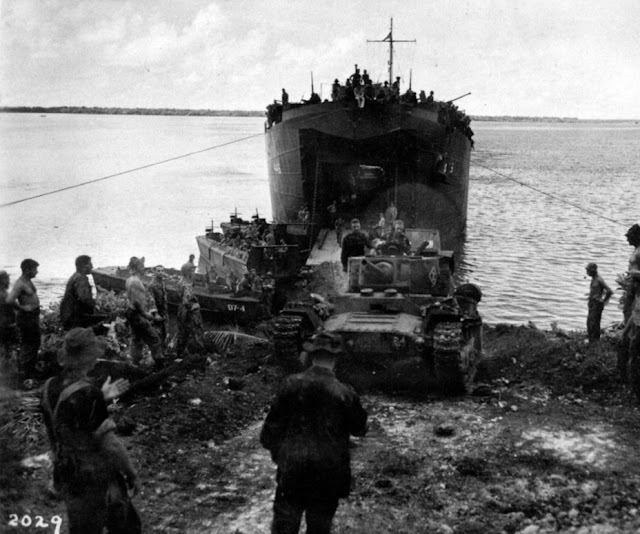 The Valentine tanks were finally taken out of service in Burma in July of 1944. 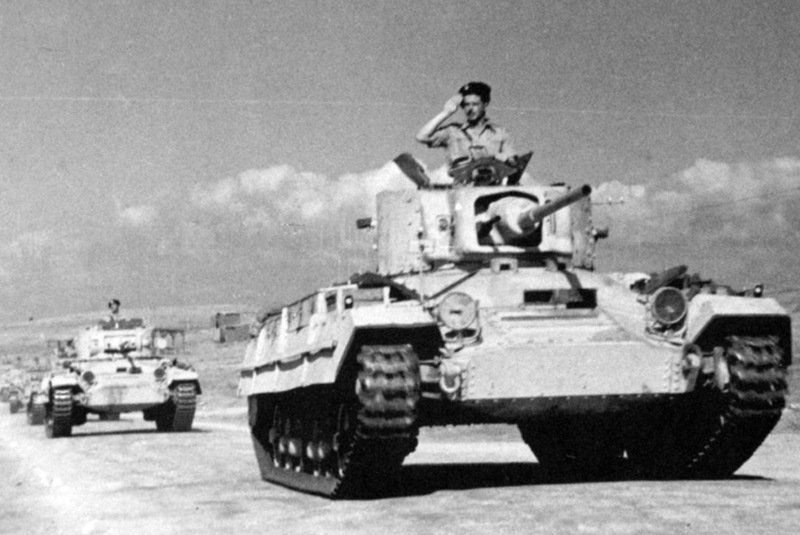 Polish Valentine IV and V tanks in Iraq, summer of 1943. New Zealand also didn't say no to British light infantry tanks. 80 Valentine III tanks and 77 Valentine V tanks arrived in this country. Shipments of Valentines with three-man turrets continued from late 1942 to early 1942. The New Zealand army also ordered 34 Matilda IV CS tanks, but they didn't last long: in May of 1944 these tanks were sent to Australia. A Valentine III CS tank lands on the Nissan Atoll, February 1944. The New Zealanders encountered an issue that was one of the biggest issues with British tanks: a lack of 2-pounder high explosive ammunition. The Australians solved this problem by loading 40 mm Bofors HE shells into 2-pounder casings. The New Zealanders chose a different route. The Valentine's gun mount permitted the installation of a 76 mm howitzer. In February of 1943, one Valentine III was converted in the Waiouru tank school to take a howitzer from the Matilda IV CS instead of a 2-pounder gun. The howitzer received an appropriate sight. The ammunition racks were also changed. The tank received 35 rounds, 32 of which were HE and 3 were smoke. 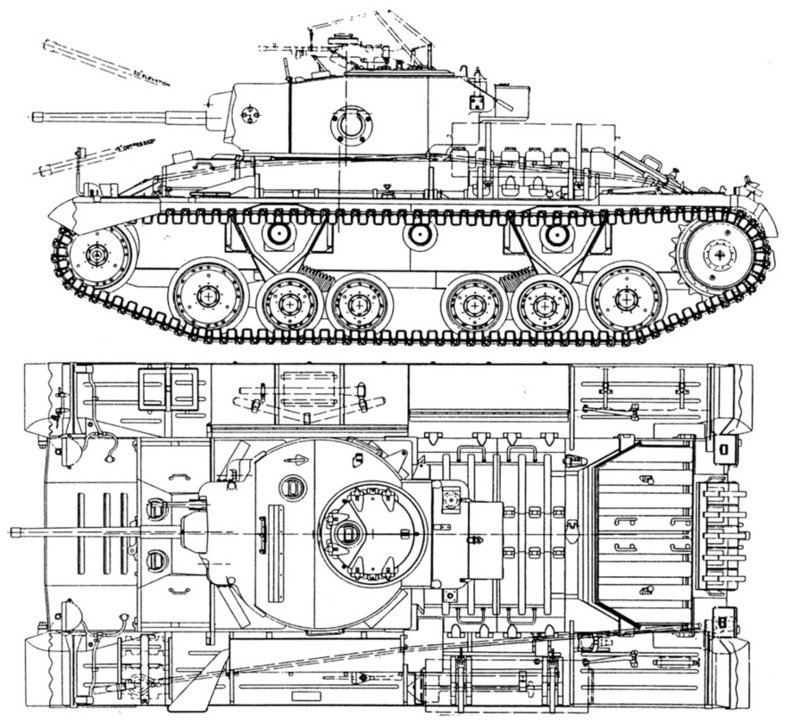 18 tanks were altered this way, and given the title Valentine III CS. New Zealand's tanks also worked as tractors. New Zealand's tanks received local registration numbers. They were distributed among three tank regiments, where they served alongside the Stuart III. Only 19 New Zealander Valentine IIIs (including two Valentine III CS) got to fight. In early 1944 tanks of the 3rd Tank Battalion, 3rd New Zealand Tank Division, were used to liberate the Green Islands, to the east of New Guinea. On February 11th these tanks landed on Nissan Atoll. This was the only combat operation to use New Zealand's tanks. New Zealander Valentine V, 1950s. New Zealand's Valentines lived a long life. The last of these tanks were only retired from service in 1960. These tanks were rather reliable, and New Zealand had little need of modern tanks. The country had nobody to fight with. A number of these tanks later ended up in Australia, where they were converted into tractors and engineering vehicles. About half of the Valentine tanks preserved to this day has New Zealand roots. After the British Army, the USSR was the second largest user of Valentine III and V tanks. Strangely enough, the tanks with three-man turrets went nearly unnoticed by the GABTU. Unlike Canadian Valentines, which went through all sorts of trials in the USSR, the Valentine III and V were nearly ignored in correspondence. This is largely due to the fact that these vehicles differed little in effectiveness compared to the Valentine II and Valentine IV. 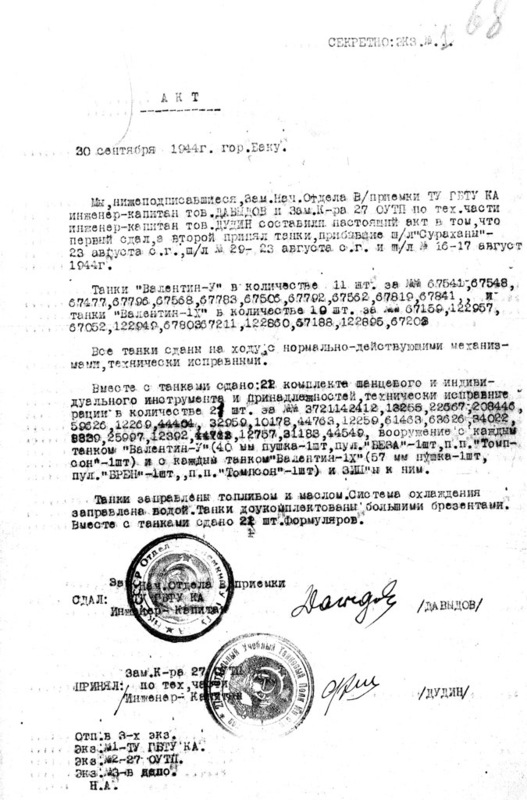 Acceptance act for Valentine V tanks that arrived in the USSR. The delivery was not homogenous: it includes Matilda IV, Valentine II, and Valentine V tanks. 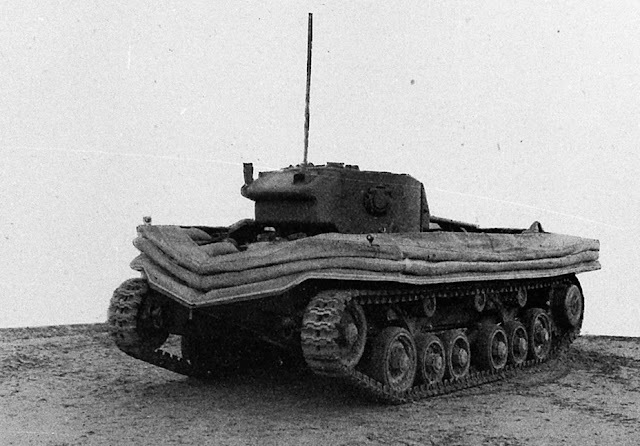 Unlike the British army, where initially only Valentine IIIs were used, the USSR first received the Valentine V. These tanks arrived with PQ-16 in June of 1942. The Valentine III was not shipped to the Red Army at all in 1942. However, the stream of Valentine Vs also dried up fairly quickly. The second major shipment was loaded onto the infamous PQ-17. A large number of tanks were lost, and a pause followed. Of 340 Valentine V tanks that were sent to the USSR, 113 were lost en route. Nevertheless, a small amount of tanks arrived through the northern route in December of 1942. In January of 1943, the first Valentine IIIs arrived with convoy WJ-51B. The last tank of this type that arrived through the north came in February of 1943, and this shipment included Valentine III, V, and IX tanks. A Valentine V lost in August of 1942. These tanks rarely pop up in front line photo albums. The next shipment of British light infantry tanks only came in July of 1943. These were Valentine III tanks that arrived through Iran. 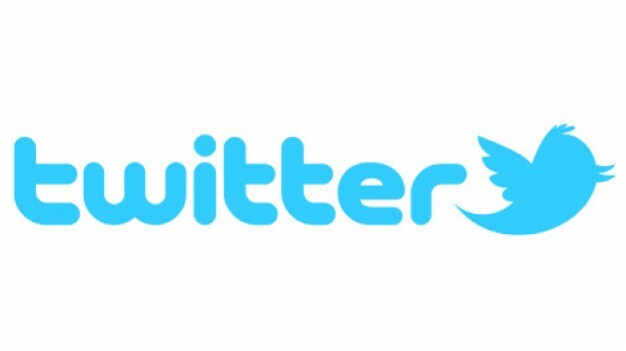 Here is where things get interesting. As mentioned before, the British army began switching over to the Sherman in May of 1943. A torrent of used tanks hit the USSR. This was obvious from the condition of the tanks that were coming in: they had missing parts and smashed up fenders. There were also complaints about the Valentine VIIs, but at least they were coming in better condition and with a full set of parts. Shipments of Valentine III and V tanks in 1943 were in small batches (51 and 16 in total, respectively). A message came in April of 1944 that informed the USSR that it could receive 90 tanks that served in Iraq. Among them was a number of Valentine V tanks, likely those formerly used by the Polish brigade. In this case, they were used by the same former Polish POWs that were shipped from the USSR to the Middle East after the start of the Great Patriotic War. The condition of these tanks was so poor that they had to be repaired right in Baku. Used Valentine III and V tanks also arrived through the northern route. JW-54 brought 37 Valentine III and 42 Valentine V tanks in December of 1943. In 1944 50 Valentine V and 61 Valentine III tanks arrived through the north. As for the southern route, 54 of these tanks arrived in 1944. The last 11 tanks were received on September 30th, 1944, with 10 Valentine IX tanks, also used. These were the last Valentine tanks that arrived in the USSR. 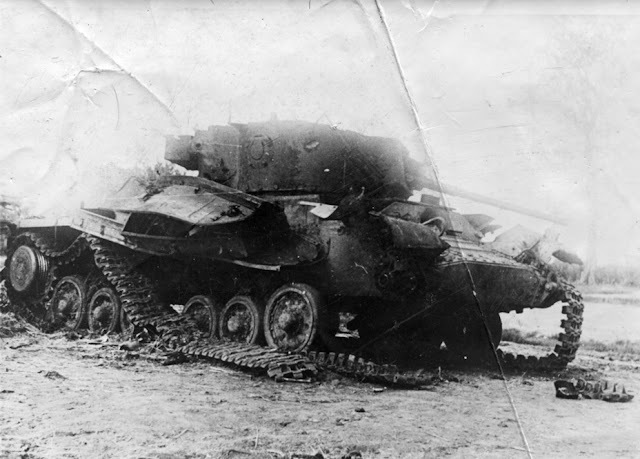 According to British data, the USSR received 346 Valentine III tanks without a single one lost en route. 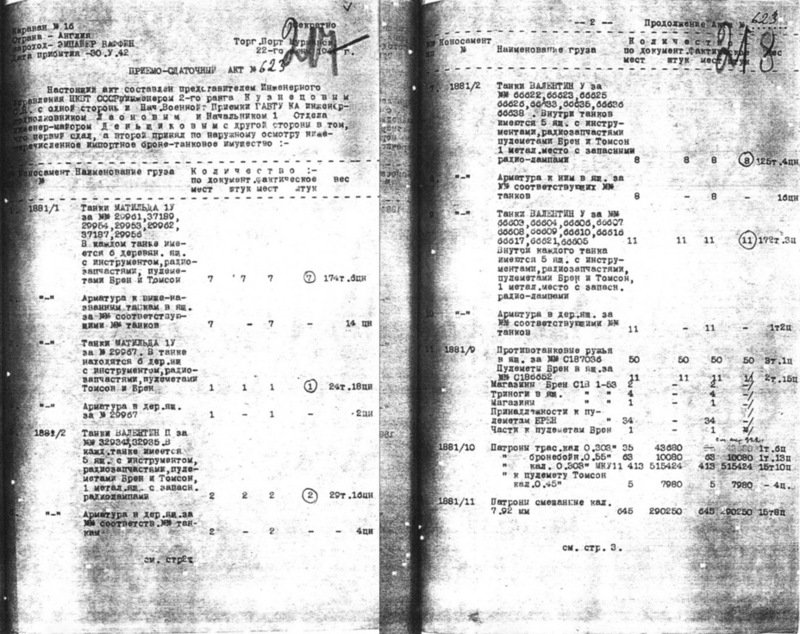 A list of the last Valentine tanks to arrive in the USSR. The tanks were previously used and required repairs. The Valentines first saw battle on the Eastern Front in the summer of 1942. The Red Army did not distinguish between versions of tanks with two and three man turrets, which makes it hard to track their combat career. Knocked out Valentine III and V tanks rarely appear in photographs of German soldiers and officers that are now sold on internet auctions. The tanks begin being distinguished in 1944. While in the case with the Valentine III it might be hard to determine the variant, it's different with the Valentine V. These vehicles were sometimes called Mk.5 or Mk.V. In correspondence written in 1944 and later these tanks are separated, as are the Valentien VII (Mk.7 or Mk.VII) and Valentine IX (Mk.9 or Mk.IX). Valentine V on the front, Belarus, 1944. The Western Allies stopped using the Valentine with three man turrets by the summer of 1944, but their career hit a second breath on the Eastern Front. Use of these tanks continued in independent tank regiments used by cavalry divisions. For instance, the 87th OTP received 5 Valentine V tanks on November 26th, 1944. As of June 22nd, 1944, 30 Valentine III tanks were listed in the 3rd Guards Cavalry Corps. The 151st Independent Tank Regiment received 6 Valentine III and 4 Valentine IX tanks in February of 1945. 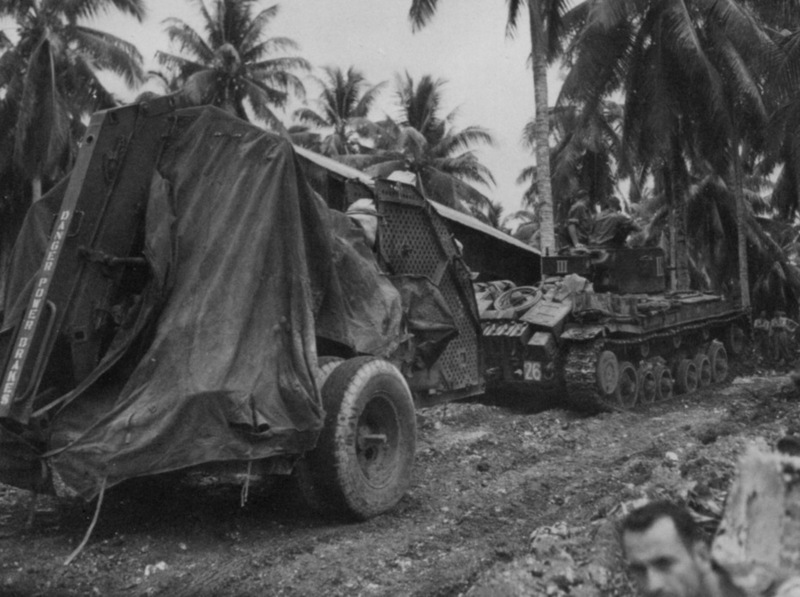 A number of these vehicles fought until the end of the war. Some tanks of this type saw action in Iraq, then on the Eastern Front, and ended their career on the Far East, fighting against Japan. It is often said that the Valentine's gun was very weak. Downright utopian suggestions to rearm these tanks with 76 mm F-34 or even 85 mm S-53 guns were sent in to the Central Artillery Design Bureau. Nevertheless, these tanks managed to last long enough to fight against the Japanese. FOr instance, Valentine III tanks were present in the Far East with the 267th Tank Regiment, which also cooperated with cavalrymen. Walkaround of the Valentine V in Padikovo. I have a question for Peter Samsonov- did you get my e-mail with Polish sources about a tanks? I send to you some sources, but this is another attempt to sending this sources. Earlier mails propably did not reached to you. Yup, I got an email with three documents. Thank you, nice article. I had no idea the Red Army received tanks that were not factory-fresh. A lot of them even came with British unit markings still applied, which the Soviets usually didn't paint over, resulting in a silly looking situation. Would love to see a pic of one of those. I still wonder how they planned on an 85mm gun on that tiny tank. Any info on that or was it dismissed before the napkin stage? Not a clue. I mean, the breech of the S-53 was pretty compact, but I don't think it would be possible to load it without standing on the engine deck. I haven't seen any drawings of how this would allegedly work. My money is on something like the Archer.